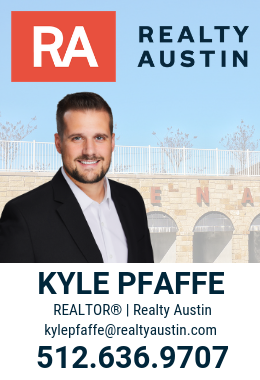 You want to buy a home in the Siena Round Rock neighborhood but for every good story you have heard you have probably heard another horror story from a friend who had a terrible experience buying a home. I have people tell me those stories all the time. How do you avoid those pitfalls? Where do you get answers? What are the right questions to ask? What is most important right now is that you know what to do first. If you start right, everything else can line up and you can buy a home easier and with a lot less stress than some other people you have heard about. So what do you do first?! The majority of people who want to buy a home start by looking at homes online. They discover features and finishes that they love for their new home in just the right neighborhood. My wife especially enjoyed looking at homes online and she stayed up very late – too late – too many nights doing so! It is exciting because you start to imagine yourself living in your new home! Your hopes are growing and the power of visualization is adding fuel to the fire the drives your insatiable desire to own your own home! Other people start their journey by checking out some open houses. Maybe they have a particular neighborhood (like Siena Round Rock TX!) that they want to live in so they drive the area over the weekend, looking for open houses to peruse. Others wander around looking for any open house they can find pop in. Some people start by calling a real estate agent they know and trust to tell him they want to buy a home and to ask for help. Pretty much all of these things are part of buying a home, but they are not the first thing you should do. The first thing you should do make buying your home, especially in Siena Round Rock, as easy as possible is talk to a lender. Why talk to a lender? Talking to a lender is a free, no obligation way to get the most important piece of information on buying a home that you can get – how much home you can afford. With a 15 minute conversation, a lender can give you a pretty close answer to how much you can afford. He will also tell you how much your mortgage payments would be for a home at that price. This is crucial information because I have found that for many buyers I work with there is often a difference between the amount they qualify for and the amount they are comfortable paying each month. You definitely want to avoid buying a home that you can barely afford to live in! In the notes below I’ve linked two amazing lenders that I regularly recommend to my clients. You may be thinking, “That sounds like good information to have and something that I will eventually need to buy our home, but I don’t need to do that first, before anything else, right?” I would suggest to you that the information from the lender is so important to get first because it can radically change everything from that point on. You could find out that you can afford much more of a home that you thought. Now you are looking at entirely different homes online and visiting completely different open houses. You could also start looking at homes and allow your aspirations and hope to grow for certain homes. You can see yourself already living in a particular home and then find out that there is no way you could afford those homes. Now you feeling disappointed with anything else you start looking at. Avoiding that pain and disappointment is why I personally will almost never show homes to a buyer if she has not spoken to a lender and gotten pre-qualified. I feel that I am not doing my job, that I am actually doing a disservice to you if I show you homes, let you fall in love with a home – maybe find your dream home – then have all of those hopes shattered when you find out you cannot afford that home. To me, that’s heartbreaking! Buying a home should be an exciting adventure and I want it to be as pleasurable and stress-free for you as it can be – so please talk to a lender first! Anyways, I hope this has been helpful for you! If you have any questions or anything I can help with, please contact me.